Equal Pay Day in the US is on 2 April. The date symbolises how far into the new year an American woman must work to earn the same as a man made in the previous year. While the US has banned unequal pay for equal work since 1963, on average women continue to earn about 80% of the amount paid to men. Asian women fare slightly better, but for black and Hispanic women the gap in earnings is even wider, according to government data. Advocates for equal pay call for systemic legislative changes to address the disparity, and highlight issues such parental leave and childcare costs as areas in need of reform. But what are some of the other solutions put forward? In some US states, employers are barred from asking job applicants how much they previously earned. California, Massachusetts, New York City and Puerto Rico are among the jurisdictions which already ban employers asking about previous salaries, and similar measures are under consideration in more than 20 other states. These laws in part aim to break the cycle of pay disparity by removing the link between historic inequalities and pay negotiations. In 2017, when the law was announced in New York, the chair of the NYC Commission on Human Rights, Carmelyn P Malalis, said it was designed to "break the cycle of income inequality" and put an end to women and people of colour being "held back by their current or previous salary". For many people, talking about money can be awkward. In fact a recent study found that one in five Americans do not tell anyone how much they earn, including their partners. However, some people argue that the secrecy around pay helps to perpetuate inequality. Angela Cornell, the director of the Labor Law Clinic at Cornell Law School told the New York Times that salary secrecy "can make it difficult for employees in the private sector to learn that there are unlawful disparities" in pay. Ms Cornell added that through speaking to a male colleague about how much they earn, she discovered he was paid $50,000 (£38,000) more than her. Some professions have set up online documents to share salary information anonymously along with information on gender and ethnicity. Television writers and journalists are among the professions who have taken this step to increase pay transparency. While in 2015, workers in the US tech industry used the hashtag #talkpay to share salary information. The trend was started by computer programmer Lauren Voswinkel, who argues that pay transparency is an important tool for gaining equality. Iceland is ranked as the best place in the world for gender equality, and in 2018 became the first country to mandate that companies prove they are paying men and women equal wages. Companies in Iceland have to obtain an equal pay certificate or face fines. Employers must rank every job in a company and assign it a score based on things like physical strain and the level of responsibility. If two employees doing a job with the same score are not being paid the same, the company has to fix it. Women are much less likely to try and increase their salary offers than men. A study found that 57% of men attempted to negotiate their pay compared to only 7% of women. 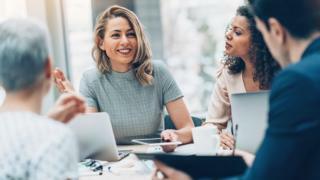 The American Association of University Women suggest that "negotiation skills are especially tricky for women because some behaviours, like self-promotion, that work for men may backfire on women". While negotiation can be a path to closing the pay gap, some suggest the practice should be scrapped altogether. Former Reddit CEO Ellen Pao banned salary negotiations at the social media company in 2015 in a move to reduce gender discrimination. However, as journalist Bourree Lee points out, this approach "puts an awful lot of power in the employer's hands: If nobody negotiates, companies can still offer men more, and women have no recourse."